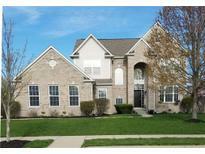 Below you can view all the homes for sale in the Woods At Geist Overlook subdivision located in Fishers Indiana. Listings in Woods At Geist Overlook are updated daily from data we receive from the Indianapolis multiple listing service. To learn more about any of these homes or to receive custom notifications when a new property is listed for sale in Woods At Geist Overlook, give us a call at 317-427-7201. A large basement with a full bath. It won't last long. MLS#21632715. Highgarden Real Estate. Close to Shopping & Dining. FANTASTIC FIND! MLS#21628926. RE/MAX Realty Services. Buy it, move in, and enjoy! MLS#21628807. Keller Williams Indy Metro NE. Traditional 2 story, 4 bedroom, 2 full bath, 1- half bath, 3 car attached garage, epoxy floor, work bench, shelves, workshop lighting, attic storage access through garage pull down stairs, professional irrigation front & back yard, stainless steel appliances new gas range in updated kitchen, new carpet in office, dining room, great room, stairs, landing, hallway and all bedrooms & closets, walk in closets in every bedroom, ceiling fans with lighting in bedrooms, kitchen granite counters, stone and granite back splash, hardwood floor in entry, foyer, breakfast area, lazy susan, roll trays on base cabinets, great room shelving with cabinet storage, mature landscaping, basement finished, security cameras, 4+ car driveway. MLS#21628535. 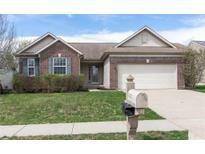 Liberty Real Estate, LLC..
Great sized 3 upper bedrooms all with huge closets. MLS#21622873. Encore Sotheby's International. Updates include: All new windows/patio door - 2018, roof - 2017, furnace - 2017, range, microwave, dishwasher - 2016/2017. MLS#21617551. CENTURY 21 Scheetz. w/fence, irrigation system and 4ft. garage.ext. MLS#21608629. House to Home Realty Solutions.